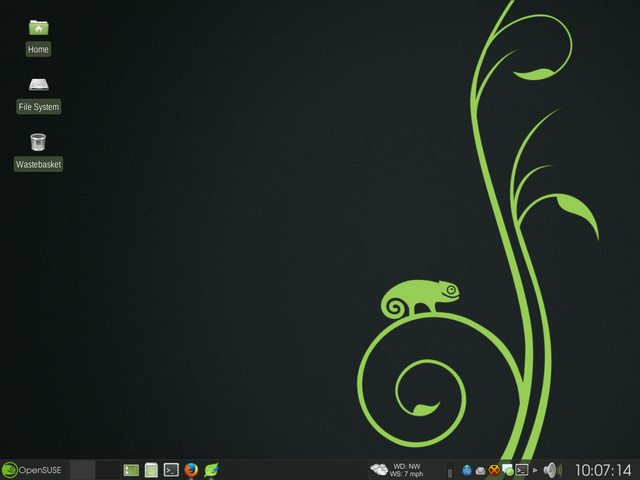 Korora 20 with Xfce 4.11, Conky based on one I downloaded somewhere a long time ago, dock is Plank, wallpaper is from a Fedora extra wallpaper pack. 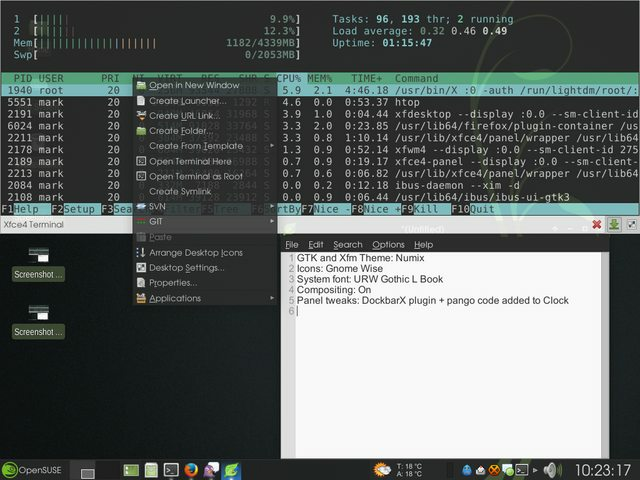 Just a query: why would one use a separate dock when xfce allows for a second panel that seems to be just as flexible? You are right and that is what my normal desktop is, a left panel which works like a dock with a number of launchers but includes other items like WhiskerMenu that you can't put on a dock. The screenshot I posted is an experiment I was doing as part of an ongoing discussion on #korora. 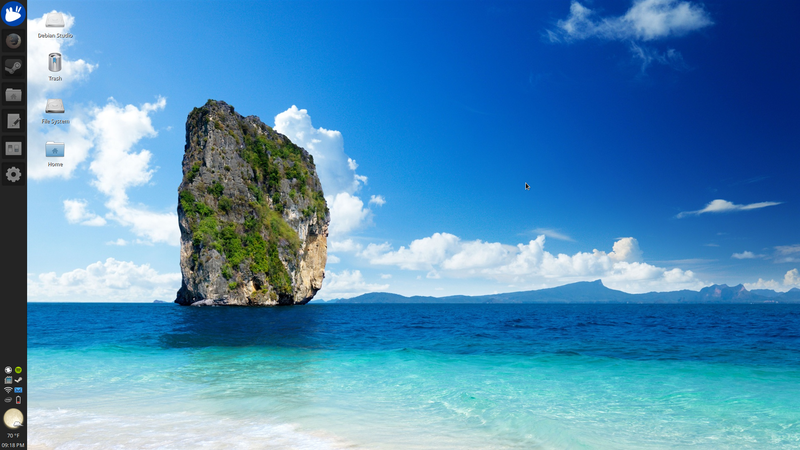 There is a suggestion to include a dock as part of the standard Xfce desktop in the next version. I was trying various docks so as to contribute to the discussion. My regular desktop doesn't look as pretty but is more functional. I quote my most recent comment on the discussion 'For me the best dock is a panel, docks look nice but none of them work as well as a panel'. 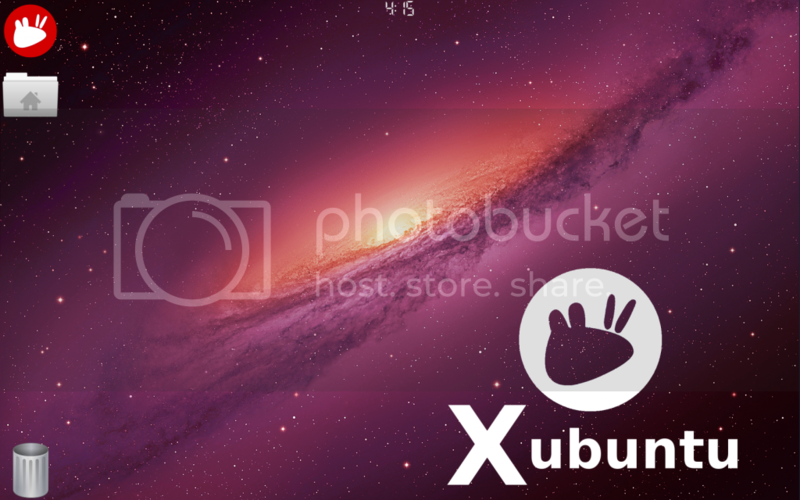 Pretty base Xubuntu setup with DockBarX in place of the XFCE window buttons and using compiz for some effects. The combination of those two make help to satiate my desire for a more modern desktop. XFCE works exactly how I like, I just like a little flare sometimes. That should be XfWm. Ugh. Sorry that I could not embed a thumbnail. Some combination of tinypic and/or the forums software is being stupid. 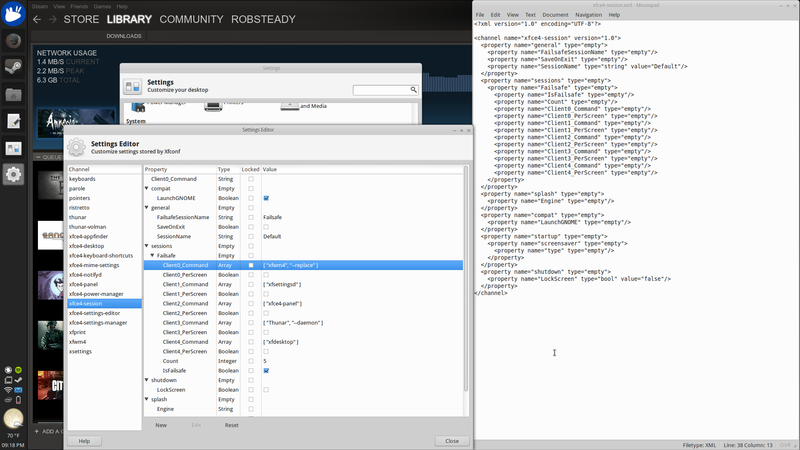 xfce theme is an edited version of Coldsteel that I am working on. 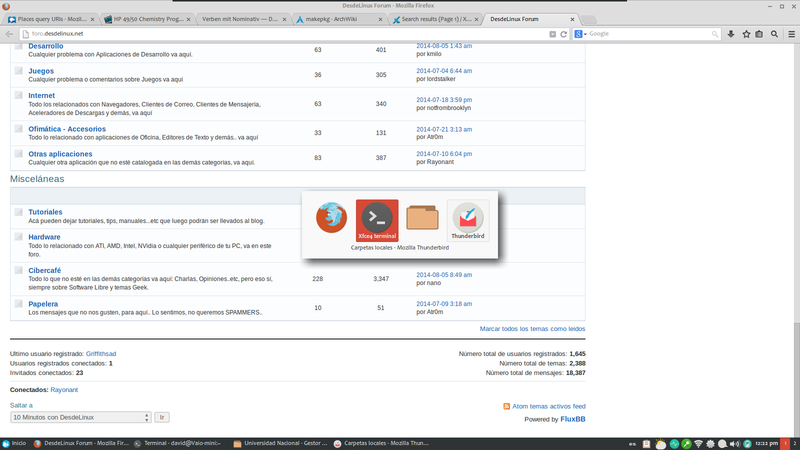 gtk2 theme is a modifed copy of Clearlooks, changed to use a gray and sky-blue color scheme. Same wallpaper as last set. 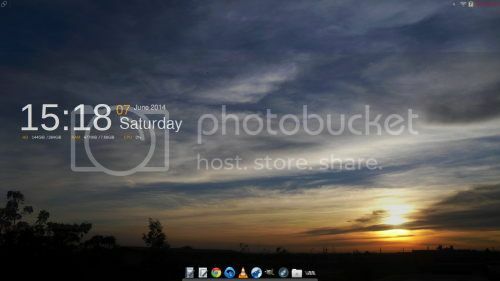 I cannot seem to find a good set of colors for conky that would match the wallpaper. Care to share your setup, mate? Shown is a new theme I am working on: a gtk theme for the sky-blue & gray color scheme and an xfwm theme for the window decorations. 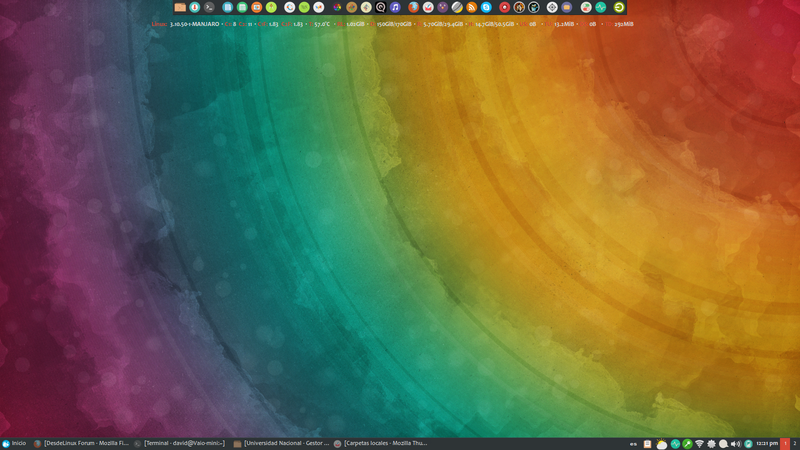 The xfwm theme is set up to use the colors of the current gtk theme. I still need to learn how to get the active task to be sky-blue instead of gray. Gtk theming is new to me. Debian Testing aka Wheezy, btw. Very nice. Care to post the particulars? 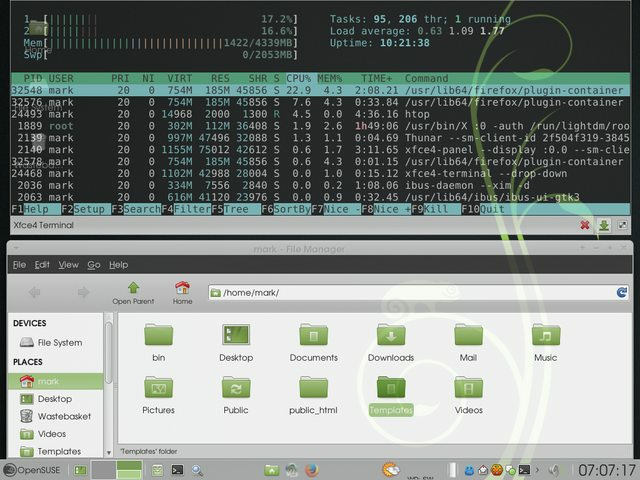 Themes, conky, wallpaper? That's my recent setup. Wallpaper changes almost daily.